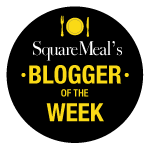 After looking into it, I’ve discovered that there is an official British Sandwich Association that runs the week, from 10th-16th May. It was founded in 1990 to set technical standards, encourage innovation and excellence and provide a collective voice for all involved in the making, distribution and retailing of sandwiches. 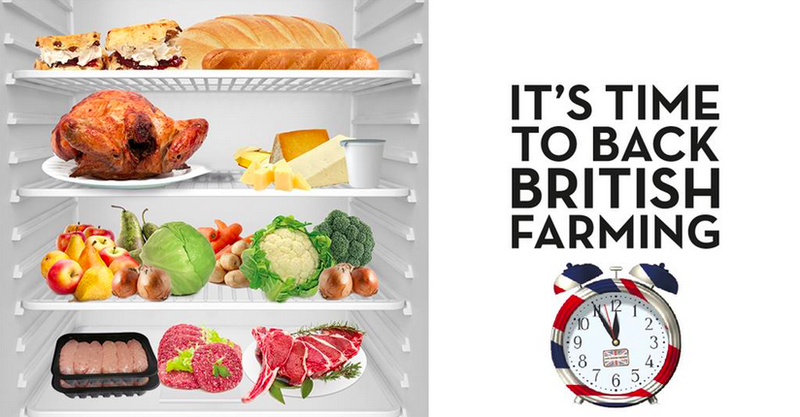 There are lots of things going on to mark British Sandwich Week. For instance, Frankonia Bakery has created The Super Sandwich; a super-sized, two metre baguette, filled with pulled pork, coleslaw and BBQ sauce, which they have donated to The Soup Kitchen, run by the American Church on Tottenham Court Road. 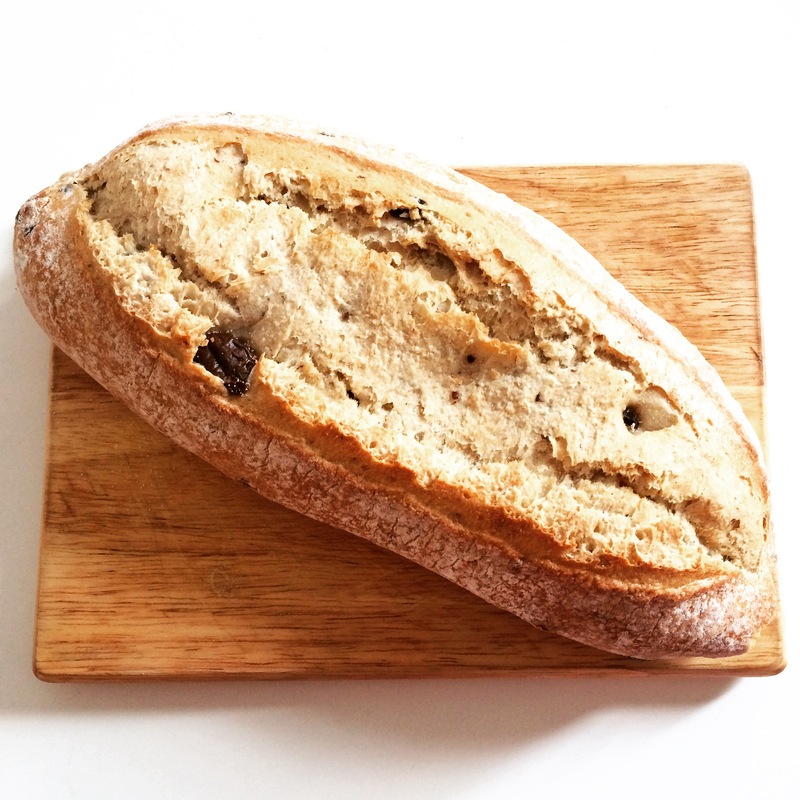 And so, to mark British Sandwich Week, I thought I’d put together my own sandwich recipe. 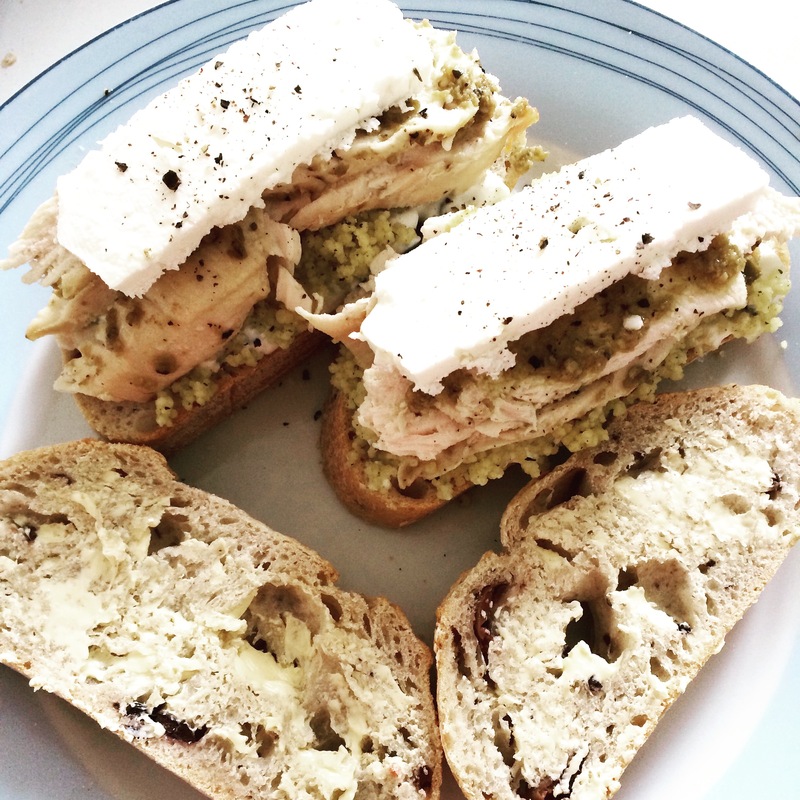 And of course, given the nature of the blog, it had got to be gourmet 😉 So I decided to make Mediterranean Chicken in Olive Bread. Cut the bread up into 8 thick slices to make the tops and bottoms of the sandwiches. You’ll probably need to discard the ends, as they’ll be too small to use. 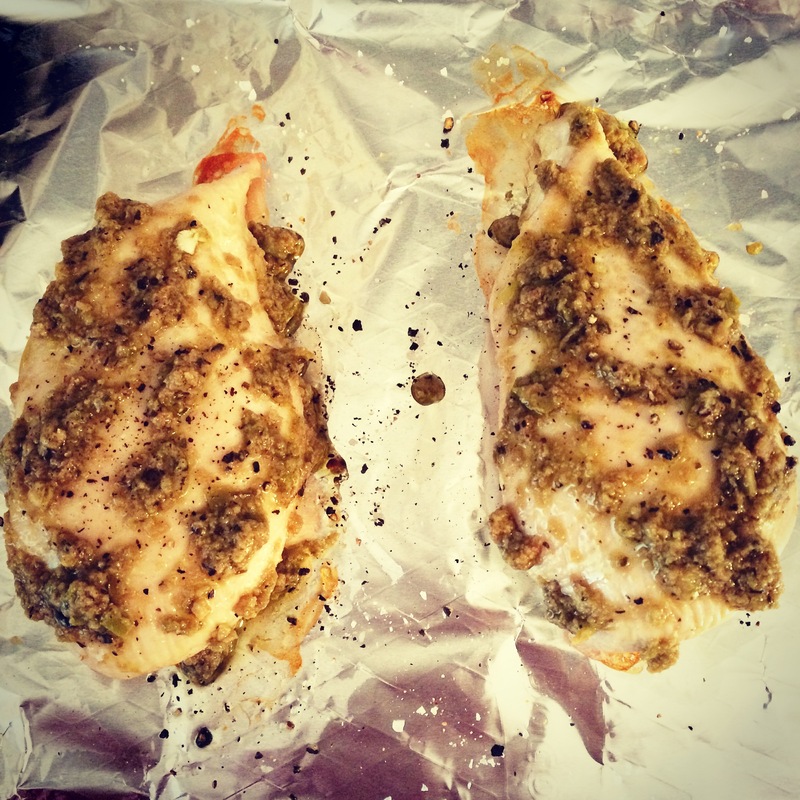 Pre-heat the oven to 180C (fan oven) and once heated, put in the chicken breasts and allow to cook for 15 minutes. In the meantime, tip the yoghurt into a bowl. 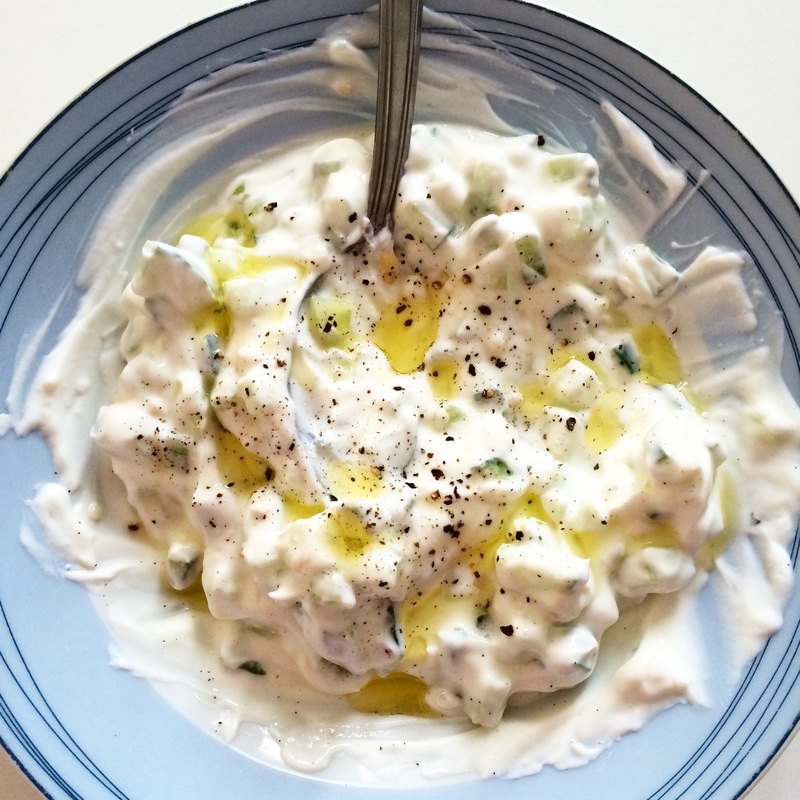 Chop up the cucumber and garlic cloves into very small pieces and mix into the yoghurt. Add a dash of lemon juice and olive oil, a sprinkle of salt and pepper, and mix together. Make the cous cous (different types will require different cooking methods, check the back of the packet – mine just required boiling water). After the chicken has been in the oven for 15 minutes, remove and brush a generous helping of the olive tapenade over the top of them, with a sprinkle of salt and pepper, and put back into the oven for 5 more minutes. 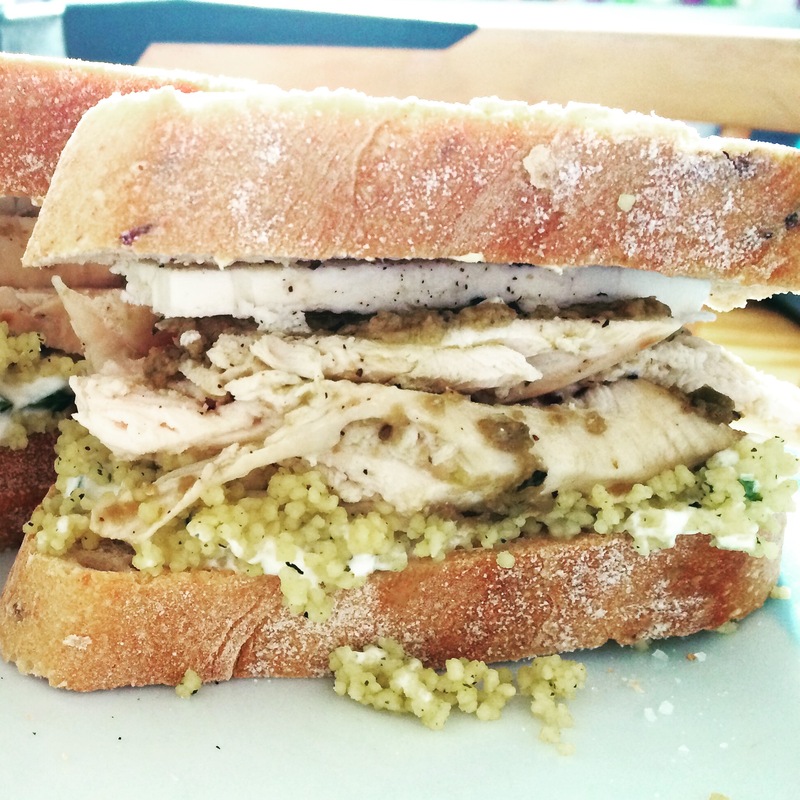 When the chicken is done – start constructing the sandwich! I started with the yoghurt at the bottom, followed by the cous cous (it sticks to the yoghurt and helps to stop it falling out of the sides), then the chicken (sliced), topped off with feta cheese. 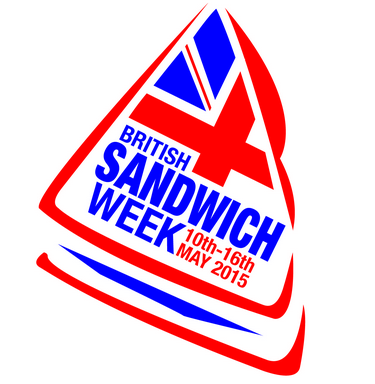 Are you making or buying any special sandwiches for National Sandwich Week? Haha it was pretty messy! I admitted defeat after a while and ate it with a knife and fork, like an open sandwich 😉 so tasty though! 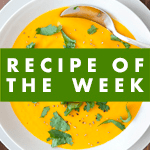 Previous PostGot To Be Gourmet is winning awards!